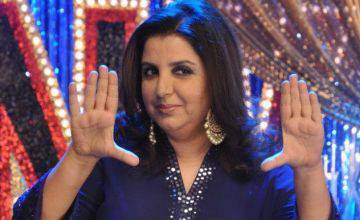 New Delhi, Aug 14 (IANS) Bollywood choreographer-director Farah Khan, who is backing an #IAMFLAWSOME campaign ahead of Independence Day, says people shouldn’t let their flaws impede their journey to success. Several celebrities have been open about their share of flaws which they acknowledged and moved ahead in life to become successful. Taking a cue from this, MTV has rolled out the #IAMFLAWSOME campaign which will encourage people to accept and celebrate their flaws. Farah, one of the major patron of the campaign, said in a statement: “The problem with people is that no matter how good you are at what you do, it’s never enough for them. There will always be someone to point out some flaw. Someone will always find something lacking in you. The director, who has directed box-office hit movies like “Main Hoon Na” and “Om Shanti Om” and is known for being outspoken, said she is proud of who she is and how she is. “I’m fabulous, because I embraced who I am. I am Farah Khan, fabulous director, brilliant choreographer, great mommy to adorable triplets, loving wife to a great guy – #IAMFLAWSOME,” she added. As per MTV’S Youth Marketing forum insights, 61 per cent of the people are trying to improve their faults but doing so they do not want to hide the same. Their campaign reiterates the same by encouraging people to celebrate their uniqueness. It will begin through an episode to be played out on MTV’s “Girls on Top”. An upcoming sequence to be aired on Independence Day on Monday will see the character of Gia Sen (Barkha Singh) standing up for a bar dancer who is looked down upon because of her profession. Seeing injustice taking place in front of her, Gia stands up for the girl and reminds others of the fact that just because someone belongs to a certain background, it doesn’t mean they are not talented.